Set the people and ropes up as shown in the diagram (strong rope tied to balcony at right). Have everyone below give a short heave, and let the strong rope person take up the slack. 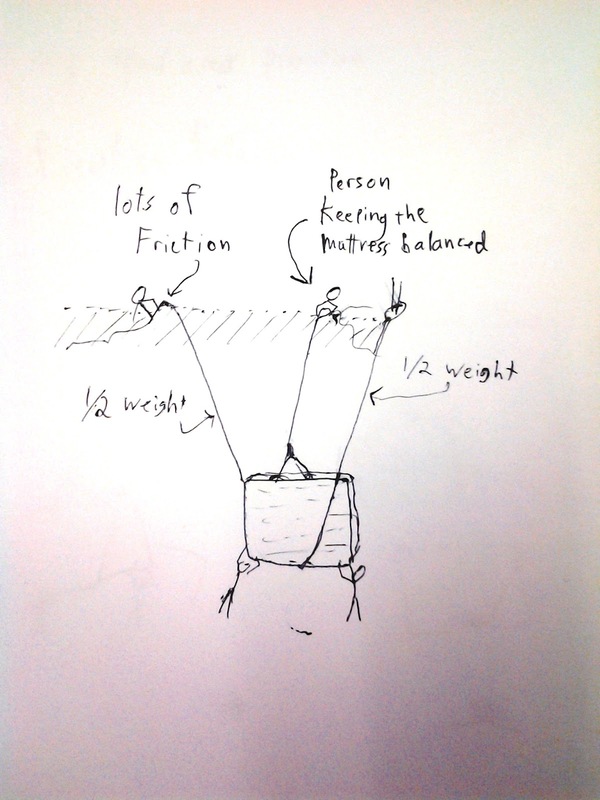 The upper person in the middle is just there to keep the mattress balanced on the strong rope, and should not need to pull up very strongly. Do this several times until you can just tip the mattress over into the balcony. Note 1: make sure that the person pulling the strong rope is standing to the side of where the rope is tied (or you will not the get the top of the mattress above the banister. Note 2: This is a true story.